Yunusa Tanko Abdullahi (ANIPR, MCIPR) is a broadcast journalist who started with the Nigerian Television Authority NTA in Lagos in 1994. He is a graduate of English Literature from the Ahmadu Bello University Zaria and a Master of Arts degree from University of Lagos . 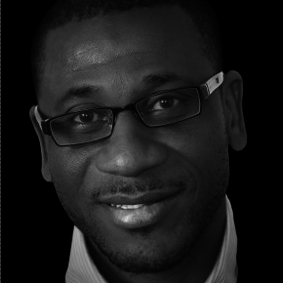 Mr. Abdullahi holds a certificate in Corporate Affairs management from the Lagos Business School. He is a member of the Chartered Institute of Public Relations London. He holds a diploma in photo journalism from London Academy of Media and Television and a certificate in Photography from the London School of Photography. He has rendered various services across all media platforms including German media giants Deutsche Welle in Cologne Germany. He has also attended seminars and symposium like the Cannes film and content festival in France, Sithengi Film and Content Market in South Africa, Public Relations international conference in the UK as well as covered the World Cup in 2008 in France as a broadcast journalist.